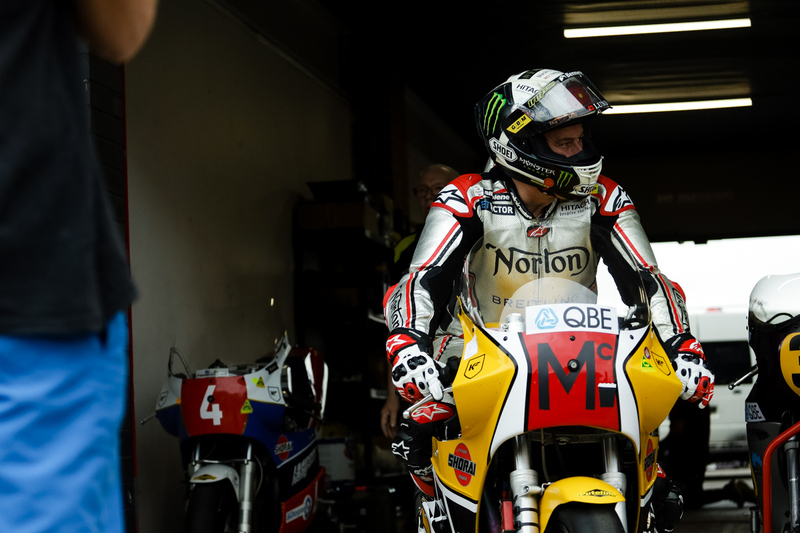 The second most successful Isle of Man TT rider, John McGuinness was the star of last weekend’s 2019 International Festival of Speed held at Sydney Motorsport Park. 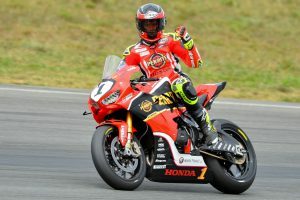 CycleOnline.com.au tracked down the popular Brit and hit him up for a selection of Fast Thoughts on a variety of topics! I love it – it’s great! I mean, it’s a long way from home, but it’s a nice place to be, everyone is friendly and the weather is – well every time I’ve been before the weather’s been better – but we’ve had a bit of wet weather haven’t we [laughs]. 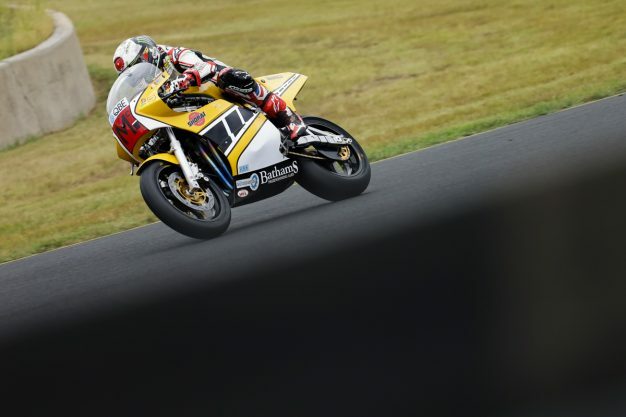 I’ve never been to Eastern Creek, and it’s another box ticked. I’m in the twilight of my career now and I’ve done so many things, but I’ve heard a lot about this event and got invited by Roger Winfield and Peter who runs it all – I couldn’t turn it down. It’s a shame though, every time I come here it’s a fly-in visit and I never get to see the real Australia. I went into into Sydney and it was just like Manchester – but, it’s good to be here. It’s funny, I’ve ridden on so many tracks all over the world and you look at them on Youtube and you think you’ve got it figured out – yesterday I felt like a total amateur here. I don’t think I hit the same line twice – I was all over the bloody place [laughs]. It’s a bit tight, twisty and technical – it’s a bit stop-start and doesn’t flow as well as some tracks, but the grip is good. What you don’t see on the TV or Youtube are the undulations – the hills are much steeper than what I thought they were. Turn one is incredible – I like the fast corners, and I kept clinching my arse cheeks each time I went in trying to go a little deeper [laughs]. It’s a great track – the best in the world have ridden here – it’s good and I’m enjoying it. I’ve ridden for Roger for quite a few years now, he owns Paton that I won the Classic IoM TT on a couple a times. Roger is just enthusiastic – he loves it and puts his heart and soul into it. The bikes are prepared lovely. At the end of the day, it’s a 1980s touring bike engine – they were designed to go into south of France with your wife on the back – they weren’t designed for racing those engines. I think it’s testament to them – it’s a Harris chassis, and you look at it and you think it looks heavy, but I tell you what, to be doing the laps we’re doing here on a 1984 engine – I know they have good breaks and tyres – but they’re still an impressive bit of kit to ride. When I was younger I wasn’t really interested – I thought ‘I don’t want to be riding those old shitters’ [laughs]. It’s sort of come back around now and I’m enjoying it. It’s a bit like going back to your roots, and there are a lot of people who chip in and help, and the atmosphere is a bit more friendly. I still like modern bikes and be up to speed on them, but recently I’ve been chipping away doing the Classic TT and also the Goodwood Revival back at home. I’ve enjoyed it – there are quite a few lads going fast on old bikes. It’s a growing a thing, but I also look at the old codgers up and down here and think where’s the next generation going to come from? 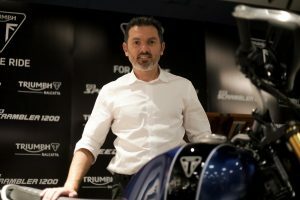 I like old bikes – I grew up in the paddock from when I was newborn, so classic bikes have always been part of me growing up. A lot of the young lads aren’t interested, but I’ve always been interested in them. I’m a bit nervous and apprehensive about it – I can’t lie, I don’t know how it’s all going to pan out for me. I know my way around and I have the experience, but there’s no real pressure on me – I just have to go and enjoy myself. If you enjoy yourself, you can do okay. It’s a new challenge with Norton – Josh Brookes rode around at 131.8mph, you can’t get a crap bike around there at 131mph – it’s impossible, so the bike has a lot of potential.